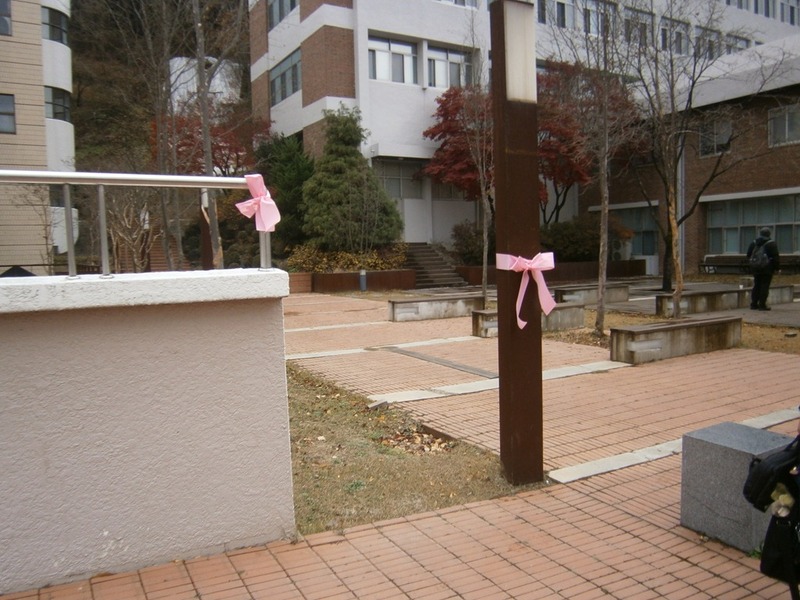 They said yesterday was Pink Day in South Korea, and students in my campus put these ribbons near the Student Building. Because the day before I didn’t have class, I couldn’t see them putting the ribbon. I wonder what is Pink Day though, not yet asking the significance. Nothing in Wikipedia also.